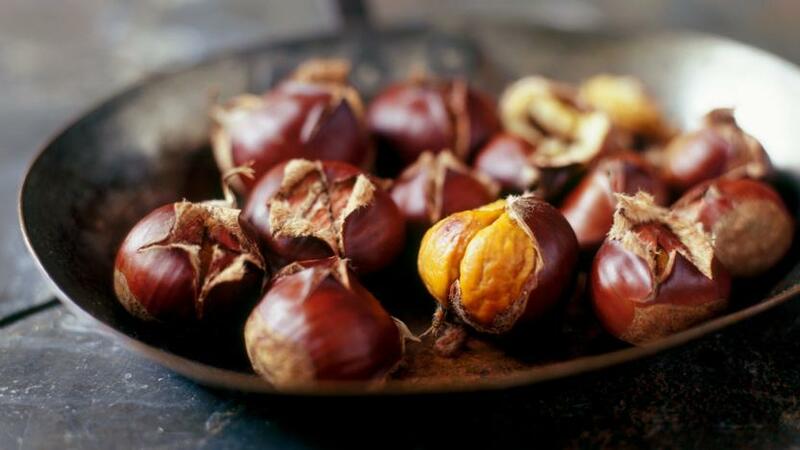 Roasting chestnuts is simplicity itself, just follow these simple steps to make a delicious Christmas snack. Heat the oven to 200C/400F/Gas 6. Using a small, sharp knife, cut a cross into the skin of each nut. Put in a roasting tin and bake until the skins open and the insides are tender, about 30 minutes. Serve in paper bags, if you like. To eat, peel away the tough outer skin and the pithy white inner skin to get to the sweet kernel.